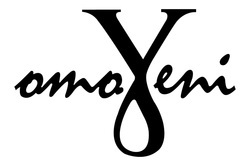 Omoyeni is a small business venture consisting of beaded jewelry created by Omoyeni Makinde and based in New York City. Omoyeni’s creations makes unique necklaces, bracelets, earrings and headdress out of top quality beads and inspired by her Nigerian family heritage, Omoyeni has been in the business of making beaded jewelry for the past 6 years and is currently growing and expanding. 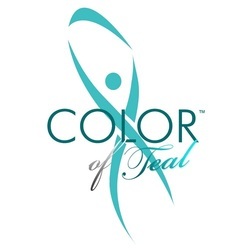 Color of Teal, Inc. A 501(c)3 Not-For-Profit Organization dedicated to supporting ovarian, uterine and cervical cancer research, awareness and treatment. Color of Teal's 2nd Annual Teal Affair - Gynecologic Cancer Expo on September 26, 2013. 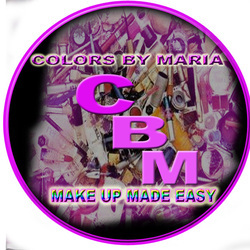 The Color Box By Maria~ Make Up Made Easy and Simple! The Color Box By Maria is a Make Up Artist Company that provides full Make Up Services for all occasions. Tionna Smalls is a Author/TV Personality from Brooklyn, NY. She wrote her very first book about relationships at the tender age of 22. Sending in a letter about her book written first person helped her get her first paid writing job. Tionna Smalls added television to her resume' in 2010 when she joined Chilli of the group TLC in her quest to find love on Vh1's "What Chilli Wants.". After the first season of the highly-rated docu-series, Tionna ventured in Boutiques (Loveys Boutique) and more books (Men Love Abuse). Tionna received her own show from MTV in 2013, entitled "Girl Get Your Mind Right!" based off her first book. The sky is the limit for Tionna and she will continue to enhance her portfolio with more ventures in television, film, business, and real estate. At 127East, we believe a little lip color and mascara go a long way. 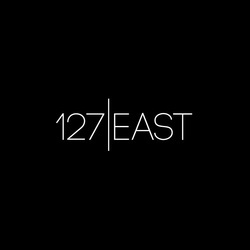 With that in mind 127East Cosmetics was created with the everyday woman in mind. The woman that doesn’t want to wear a full face of makeup all the time, but also won’t be caught dead without a little pop of color or gloss on her playfully pouty lips. We believe every woman is beautiful as they are, so our products don’t cover up, they enhance! With various nourishing ingredients, 127East lip-wear products promise to moisturize and rejuvenate your lips with daily use while also delivering exceptional color, brilliant shine and long lasting wear. As with any baby, 127East is growing! Our product line is growing by leaps and bounds, be sure to try our long wear eye shadows, available in finely milled powders or liquid formulas. Bonnie Riconda’s jewelry design philosophy is based on her love of brilliant, bright colors, a light feeling of airiness, and of all things truly hand-created by the artist. All gemstones and beads are wrapped by hand, and other parts and findings, such as hoops, clasps, and french wires, are made by hand as well. Precious and semi-precious gemstones, crystals, freshwater pearls, and other stones are used in combination to create a wonderful palette of colors in her original designs. The concept of Sassi Momma began to materialize on vacation in Kissimmee, Florida; a few months after Nicole Hawkins, CEO & Designer, gave birth to her second daughter. While having a few cocktails, Nicole and ShaShawnna Wrenn, COO, began conversing about the prehistoric appearance of a new diaper bag Nicole had just purchased and the inconvenience of carrying both a diaper bag and a handbag. The ladies began to chat about starting a business and that’s when their Aha! Moment hit them; why not combine a diaper bag and a handbag into one, and also create it to assist all women with handbag organization. The bags would be multifunctional and be able to help women relieve stress that sometimes may be caused by searching for belongings on the inside of their handbags, such as keys, a baby's pacifier, or a cellular phone. The bags would also be elegant, stylish, and like no other! The company's positive goals are helping billions of females, young girls, non-profits and people all over the world find positive and unique ways to immediately improve the quality of thought. We all need to keep exercising our minds to be positive and optimistic! By simply carrying one or more inspirational business card in her purse, wallet, pocket and/or backpack she will immediately improve the quality of thought. For example, every time she opens her purse/wallet she will read/see, "Confidence, or I Can Do it, or Worthy of Love."